Moving house is an important and potentially exciting event in your life. At Britannia Beckwith removals, we will do everything to make it a hassle-free experience, offering additional packing and household storage services and advice, whenever necessary. 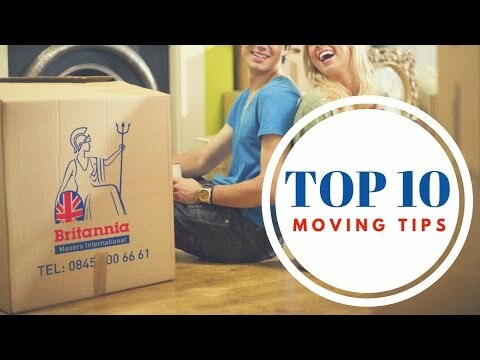 We hope that this list of Moving Tips we have compiled will help you prepare for the move. When moving house, you will have to organise many things ahead of the move. Make a list of the things you have to do. Think about the furniture and other belongings that you want to move, and the items you need to leave behind. If you have small children, or pets, for example, you will also have to organise care for them. Use Beckwith removals Moving Checklist to have an overview of the things you need to take care of. You may have already bought your new home, but to get the moving process going, it is essential to get moving boxes and other packing material. You can choose from a wide range of quality boxes and other packaging when you contact us at Britannia Beckwith removals. It is essential to choose a moving company that is willing to help you whenever you need advice, and with whom you can communicate effectively. Establish the date of moving well ahead, do not be afraid to discuss anything you need to know, and confirm the removal again a few days before the moving day as well, to avoid any misunderstandings. At Beckwith removals, we always aim to provide advice and information our customers need, so do not hesitate to contact us. You will not necessarily want to take everything with you, especially if you are moving abroad. Make a list of the things you are definitely taking with you – It is also useful to have an inventory when you are unpacking, and it is a requirement at customs when you are moving abroad. Don’t just throw away the items you are leaving behind. Ask your relatives and friends if they want anything, give the things to charities, or organise a garage sale. Draw up a map of your new home. If it is considerably smaller than your current home for example, you definitely need to leave some things behind. If you start packing based on how you are planning to unpack in your new home, moving in will be much easier. Decide where you want to place the larger items so that they can be delivered easily and placed in the correct location. You can either order a professional packing service from your removal company, which is highly recommended if you are moving abroad, or if you have many fragile and valuable items, or you can decide to pack yourself. If you will be packing yourself, you should start packing your items a few weeks before the moving day, and go through everything systematically. Label moving boxes clearly, and pack essential items only in the last few days. Don’t put too many or too few items into one box.